8849 N Pray Road Pittsville, WI. | MLS# 1525003 | Clearview Realty in Hatfield Wisconsin. Helping Hunters, Families, and ATV'ers list or buy property for 15 years. Serving both Wisconsin & Minnesota. Hunters Paradise on the ATV trail! This serene 10.11 acres of wilderness is perfect for Hunting, Camping, or Relaxing. Walk the trails on the property or hop on your ATV. 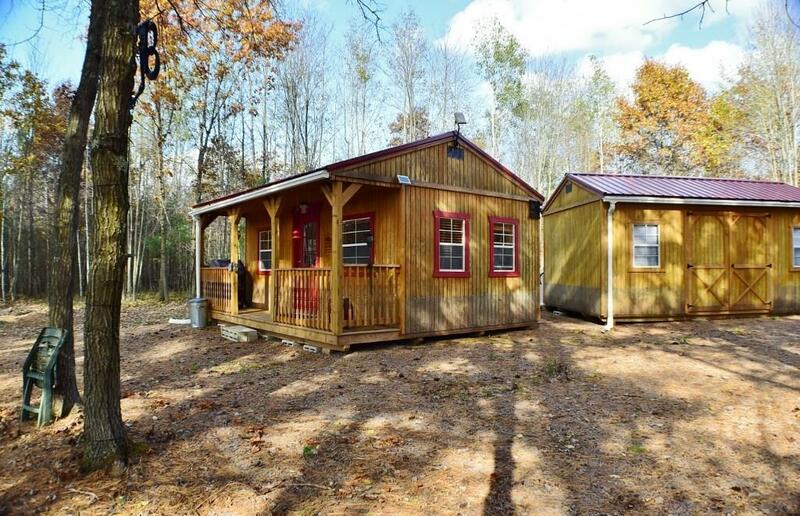 Has a self contained off the grid, turn-key cabin that has all of the comforts of home. Having 2000 watt inverter, solar panel array and 27 series marine battery system and LP Gas Fireplace to warm you up, you may never want to leave! There' a self contained sink, just bring a couple water jugs and a Lavio dry flush toilet. Also included, 12 x 20 shed and LP powered outdoor shower, Weber Grill, Cell phone booster, TV and other furnishings! Schedule your showing today!